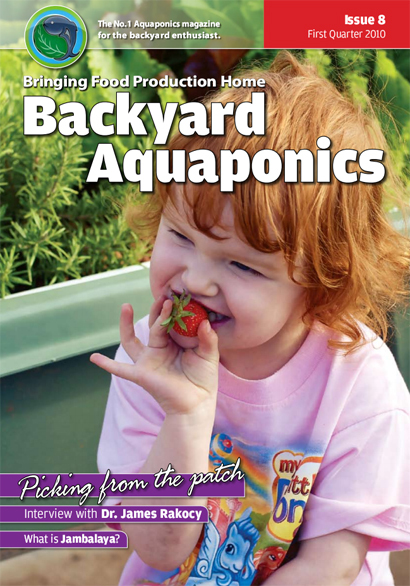 The second edition of the Backyard Aquaponics magazine is packed with aquaponics information. Details about some of the articles are available below along with some sample pages. This edition is available as an electronic magazine for immediate download. The download file is a pdf file approximately 5MB in size. Kevins barrel system in South Africa was a great success, that was popular with local groups and schools. He’s now gone on to design and build a couple of commercial systems in South Africa. Jaymie and Alex couldn’t pass up this giant tank. 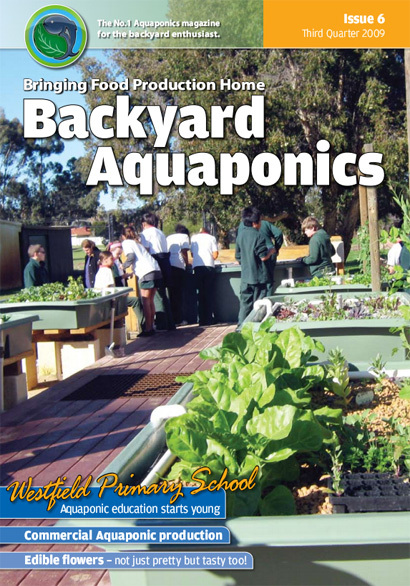 It’s been incorporated into their large aquaponic system built almost totally from recycled materials. Now they have a harvest of fish and vegetables all year round. Google sketchup is a fantastic 3D design tool that can be of great assistance when you’re designing a system to fit into your back yard. This article looks at the basics of sketchup design. After experimenting with aquaponics in his suburban backyard for a while, Stuart desided to sell up and move the family out to a larger property in the hills outside of Adelaide where he could experiment with on a larger scale. 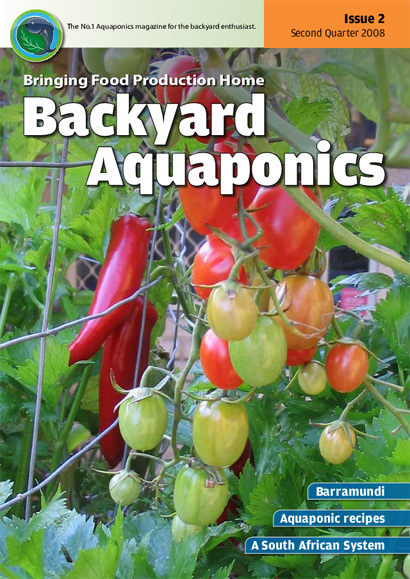 Here we have a number of delicious recipes that use the produce from aquaponic systems. Bruschetta, Green tomato relish, and smoked Jade Perch dip all feature in this issue of the magazine. Backyard Magazines © 2019. All Rights Reserved.